This Will Make You Excited To Get Outside Today! Adrenaline junkies have long pushed the limits of the human body in extreme sports. From rock climbing to wingsuit flying, the variety of extreme sports are only limited by your imagination or possibly your sense of risk aversion. Some of these sports certainly carry more risks than others but they all have one thing in common: they provide the participant with the thrill they are seeking. They are also a great way to break out of the routine and add some excitement to your workout. 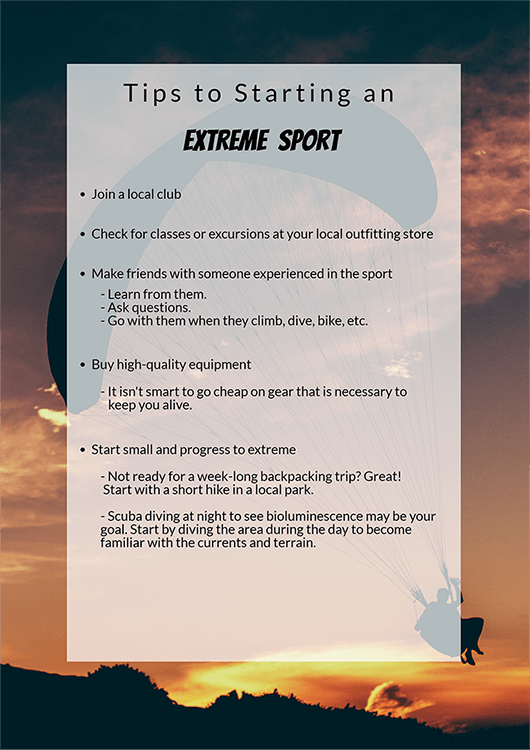 While extreme sports may sound intimidating, you might be surprised to find that you already participate in a so-called “extreme” sport or that you are interested in trying one. 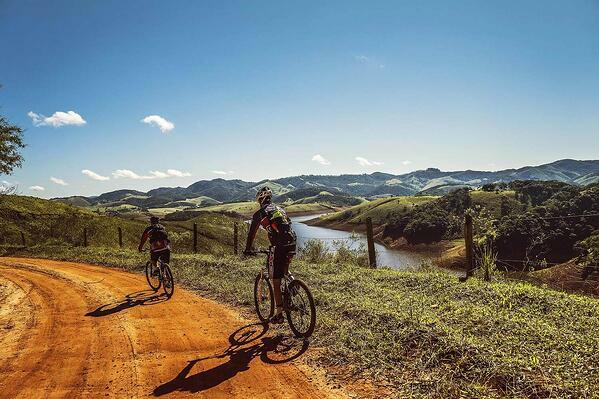 Activities such as scuba diving, mountain biking, and rafting are included in the category of extreme sports. Extreme sports offer a more interesting way to stay fit than going to the gym or walking the neighborhood, which can be considered mundane to some. 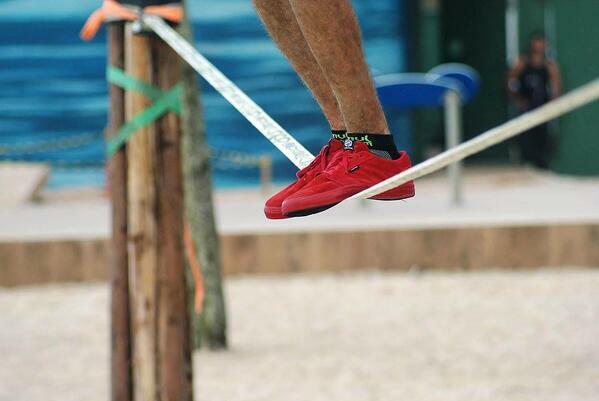 Consider slacklining. 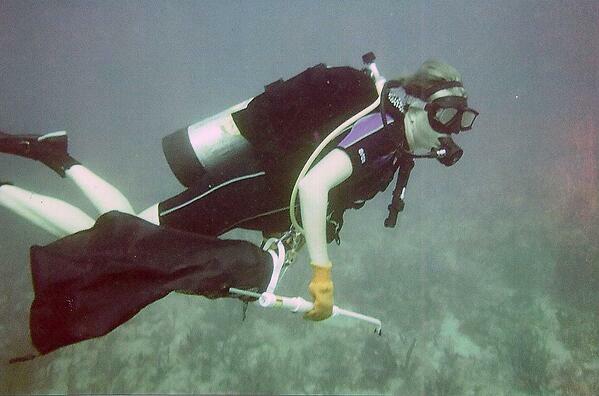 Participants stretch a 1- to 2-inch webbed strap between two anchors, such as trees, and attempt to walk the distance. This requires a significant amount of balance and core strength. It also has a relatively low level of risk when performed at low heights. Another benefit of slacklining is that it has a relatively low cost of entry and can be done anywhere you can find two anchors. Many other extreme sports require a significant investment to safely participate. For instance, scuba diving is an activity that has many upfront costs. You must first take classes to learn how to safely scuba dive. Then there is the cost of the equipment. Many new divers simply rent equipment each time they dive to reduce their initial investment. “We all have those things we talk about doing ‘one day,’” said CCM’s content marketer Rebecca Barrack. “Well, by the time I reached my 30s, life had thrown me enough curve balls that I decided it was time to start DOING those things that were on my ‘one day’ list. Scuba diving was one of them, and my adventurous spirit was ready to take the leap. “There was an initial investment involved that I had budgeted as my birthday present to myself, including the course material and some basic equipment. I rented the other gear I would need until I could afford to purchase what I wanted. “I was hooked from the moment we strapped on our masks, fins, tank, and all, and took that first giant leap off the back of the boat into the majestic blue ocean. A whole new world lie beneath me and I couldn’t wait to explore it all. It was the most freeing feeling I had ever experienced and I was hungry for more! I quickly completed my advanced certification and a number of specialties, and was well on my way to dive master status. When it comes to equipment for these sports, it is critical that high-quality equipment is used, otherwise an activity that already has some risks could become quite unsafe. If you are considering an extreme sport, talk to knowledgeable coaches, instructors, or trusted friends that participate in the sport. These individuals can offer advice on the most reliable equipment to keep you safe while enjoying the thrill of the sport. Many sporting goods stores, such as REI, provide free or low-cost classes to teach the basics of safe participation in these sports. Another option might be your local college or university. Chances are good that they offer classes or guided tours in the local sport. Even if they don’t have a class, they may rent reliable equipment. While it might be exciting to jump right in and try an extreme sport, it isn’t always the best idea for many. Instead, start at the level you are capable and comfortable with, then progress as you are ready. This progression generally has a lower initial cost. As you progress you may find that you really enjoy the activity and want to invest in more expensive gear. Additionally, by starting slowly we are much more likely to stick with our new found activity, which provides many health benefits in the long run! If extreme sports sound, well, too extreme, consider obstacle course racing. With the rise in popularity of events like the Spartan Race, Warrior Dash, Tough Mudder, and American Ninja Warrior, it is clear that many people want a different type of challenge or to feel the rush of adrenaline of running through fire, for instance. These races aren’t just for racers; white collar desk jockeys are joining challenges, too. Since 2009, obstacle course race participation has gone from nearly zero to over 4 million racers. The rapid rise in popularity may be attributed to many people looking for a way to improve their health without slogging away on a treadmill. Training for obstacle races requires not only cardiovascular endurance, but also muscular strength, power, and agility. This type of fitness doesn’t come from simply spending 20-30 minutes on a treadmill or elliptical; it really encourages a lifestyle of health and fitness. To really prepare for obstacle course racing you will need to train your entire body with a combination of cardio and strength exercises. Many of these events are team events, which is perfect because then you have a workout buddy! Identify the race you would like to complete, study and understand the obstacles you will be facing, then either begin your own training by starting with smaller versions of those obstacles or find a gym that offers training for obstacle races. Then sign up! The act of actually signing up for a race is excellent motivation to train so you can conquer the obstacles come race day. Is there an extreme sport that really gets your adrenaline going? What has been your experience? Share in the comments!